Christmas is just a few days away, and you're still scrambling to pick out gifts for the ladies in your life? Don't worry, I've got you covered! I shared my Holiday Beauty Gift Guide the other day which is FULL of awesome gift ideas (if I do say so myself! 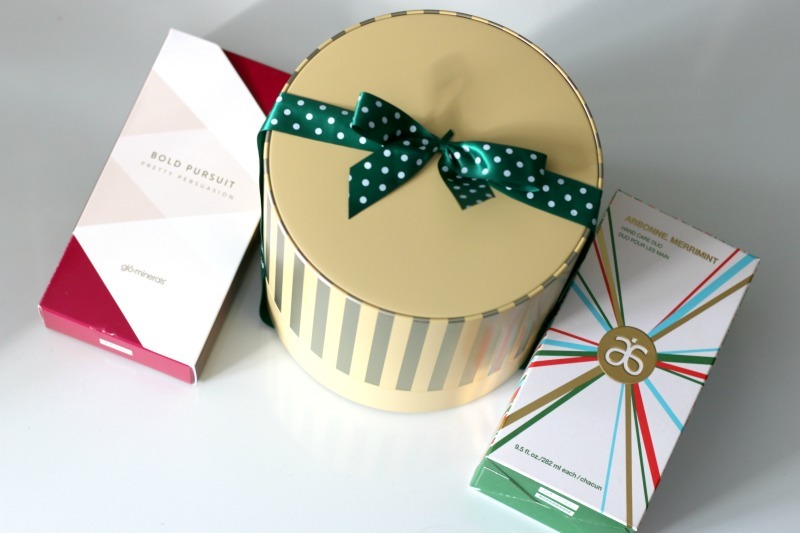 ), but I wanted to sneak one last post in and share some last minute gifting ideas in the form of beauty sets which I think are worth the mula. Your giftee isn't a fan of vanilla? These tins also come in a Frosted Berries and a Spiced Apple scent, which I have no doubt also smell divine. If that isn't convincing enough, every specially selected gift set purchased this year helps protect endangered species and restore one square meter of rainforest. You can order these online, or purchase them in store without having to worry whether or not they will arrive on time. Other skin care items I think are super useful this time of the year are hand soaps and lotions. 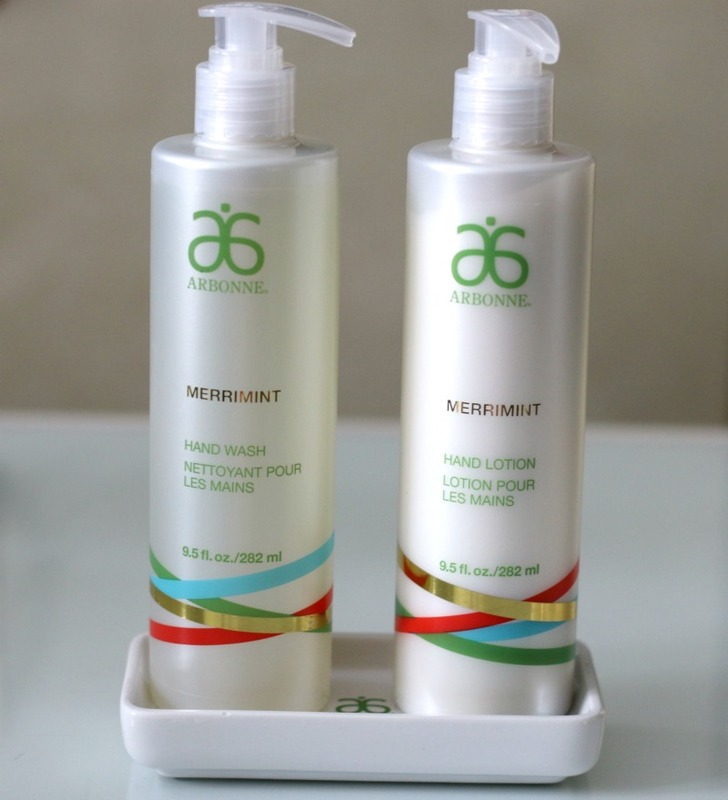 I've shared a few from Yves Rocher that I would highly recommend, and the Arbonne MerriMint Hand Care Duo* (C$60/US$38.40) is a top contender too! 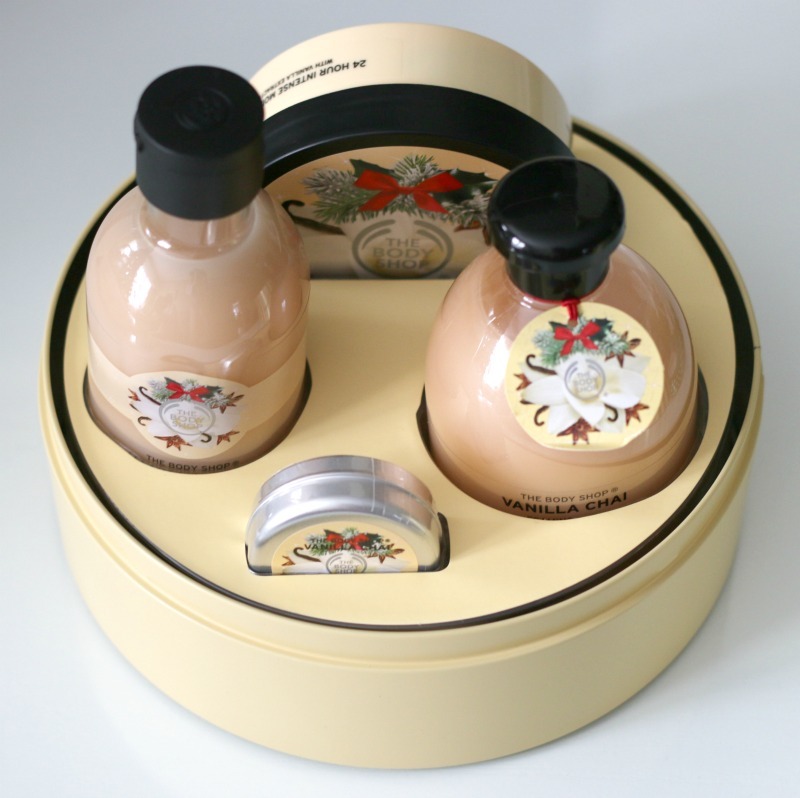 It comes with their Moisturizing Hand Lotion (282 mL) and Hand Wash (282 mL) as well as a ceramic plate to display them on. With ingredients such as spearmint leaf oil, rosemary leaf extract and sunflower seed oil, the invigorating scent will lift her spirit and leave her hands feeling soft like a baby's bottom! 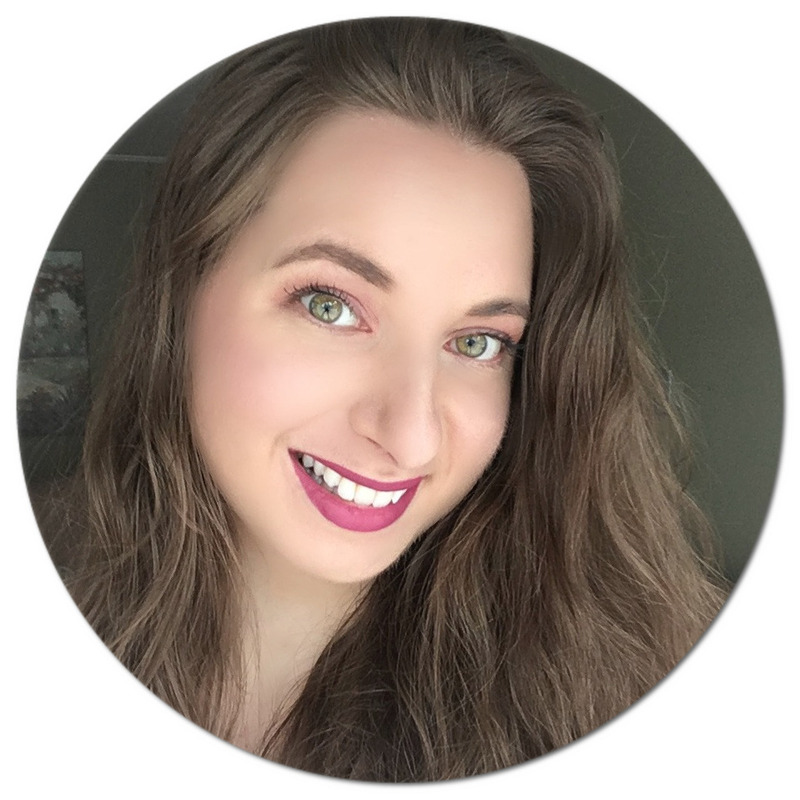 I dedicated a full review and makeup look post to this set because I thought it deserved a spotlight of its own! I cannot recommend Glo Minerals enough - their cosmetics are top quality and made with a variety of moisturizing ingredients. 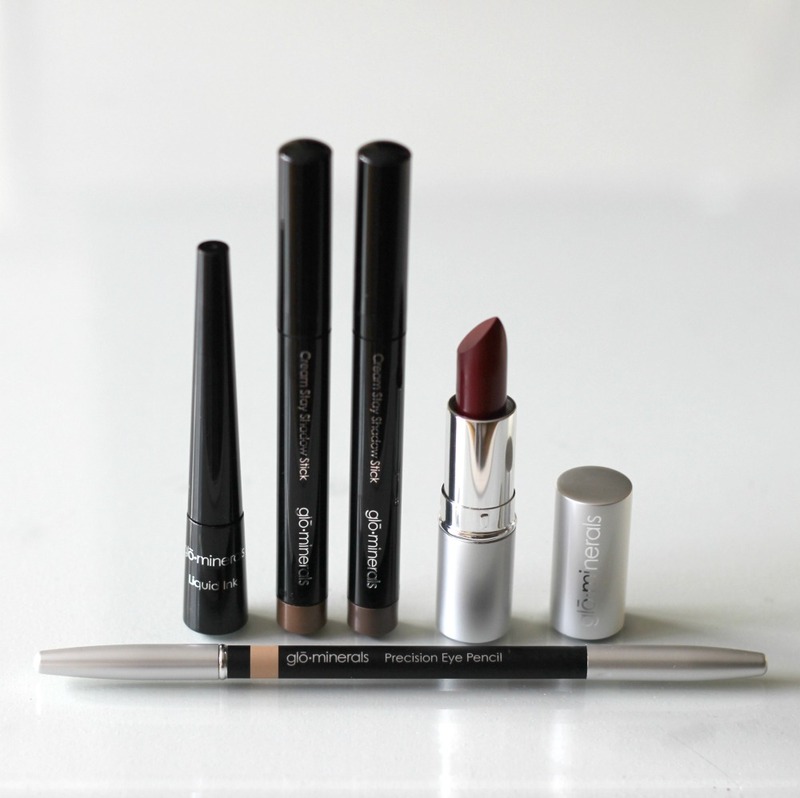 And there you have it, my last minute Holiday beauty gift ideas! Are you still last minute holiday gift shopping? 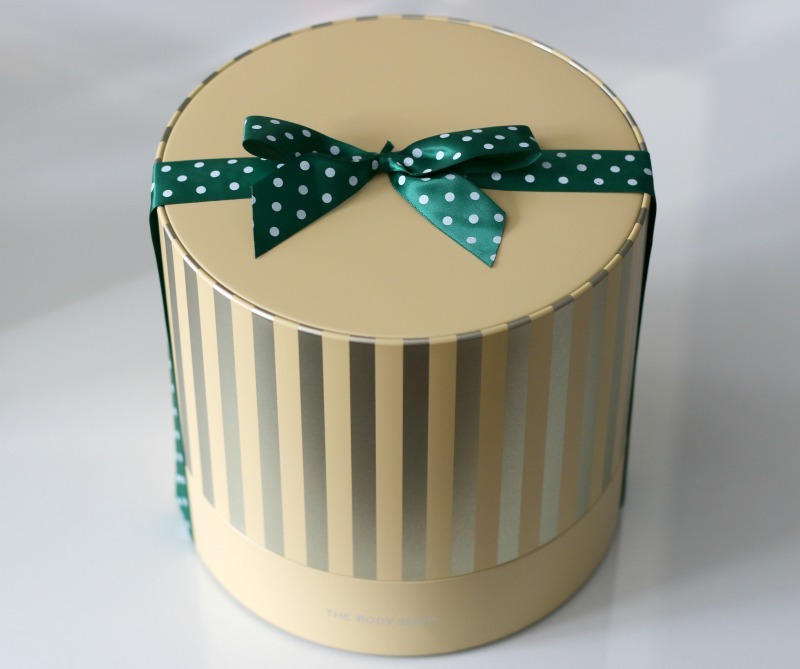 The packaging of The Body Shop's Vanilla Chai Tin Of Delights Gift Set is very nice,.. i'm in love with it,.. I love that The Body Shop packages things so beautifully that you can just stick a tag on it and give it away, makes holiday shopping so much easier! !